Iran Signs Oil Deal With UK Group as France's Total Exits - Integration Through Media ....! 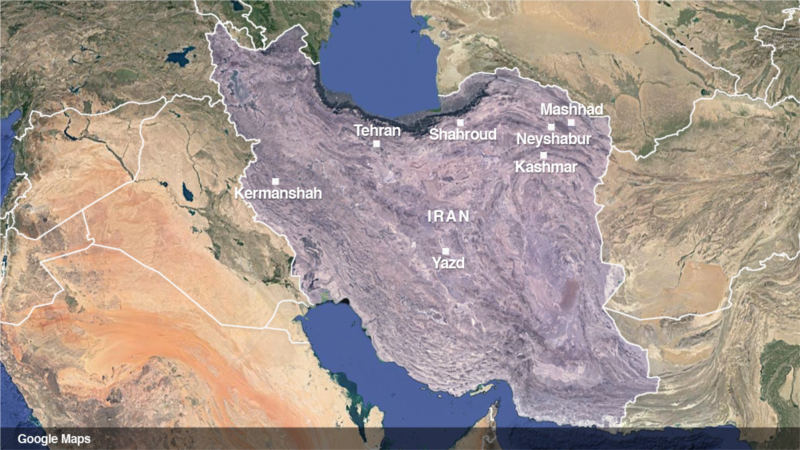 (VOA): Iranian state TV is reporting that the country has signed an agreement with a British consortium to develop an oil field, just as another major company, France's Total, says it will withdraw from Iran because of the renewed U.S. sanctions. The new agreement is the first between Iran and a company from a key Western ally of the United States since Washington last week announced it will pull out of the landmark 2015 nuclear deal between Iran and Western powers. The U.S. said it was reinstalling sanctions against Iran. The project, if the agreement turns into a contract, will require more than $1 billion to produce 200,000 barrels of crude oil per day during the next decade in the 55-year old Karanj oil field. The oil field is located in the country's oil-rich province and currently produces 120,000 barrels of crude per day. Its move contrasts with the decision by French oil and gas producer Total to not continue a multi-billion dollar project in Iran unless it is granted a waiver by U.S. authorities. The group said in a statement Wednesday that it “cannot afford to be exposed to any secondary sanction” including the loss of financing by American banks. Major European powers and Tehran committed this week to keep working together to save the Iran nuclear deal.